Bhubaneswar: IlluminatiX, the Media and PR Cell of XIMB, ushers the fifth edition of Communiqué XIMB – the Media Conclave, on 9th September 2018. 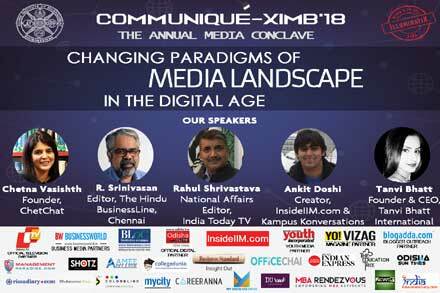 Communiqué-XIMB is aimed at stimulating the interaction between the media world and students. This year the topic of discussion is “Changing paradigms of Media landscape in the digital age”.